Located between the towns of George and Knysna, within the Goukamma Marine Reserve, this Garden Route paradise is flanked by the ocean all around, bordered by sandy beaches and rocky outcrops. A family orientated area, Buffalo Bay, or Buffelsbaai as it’s known to locals, is a great place to be with loved ones. Almost completely surrounded by the Indian Ocean, there are few views better than that of the crashing waves and endless horizon in this stretch of coastal splendour. A place where every morning is graced by a golden sunrise over the glimmering blue water, early risers are greeted by pods of dolphins skimming through the waves as this natural wonderland comes to life. A soothing beach-side town, this is the perfect spot for a holiday house or summer retreat. 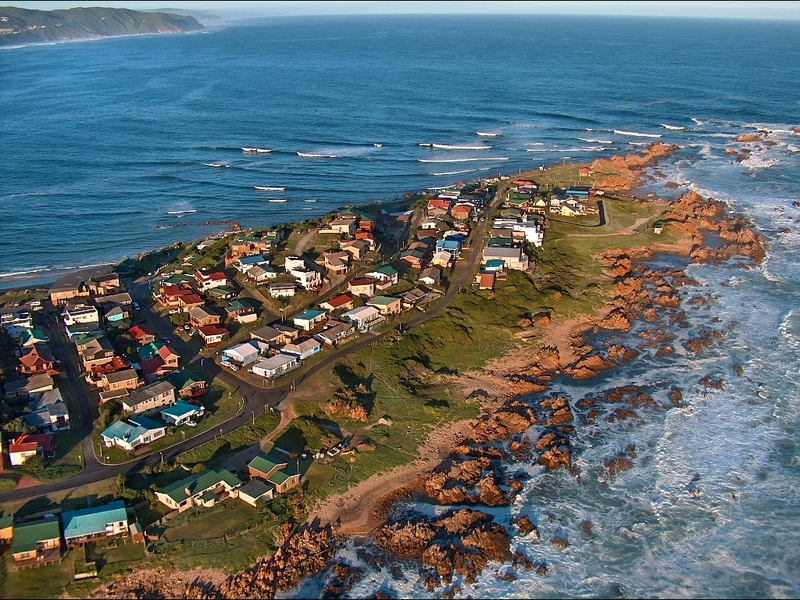 Residents of the area enjoy the sub-tropical warmth of the Garden Route while sunbathing on idyllic beaches. A great place for sea lovers and fishing enthusiasts, its surrounding waters are alive with marine activity. From diving to sailing, and everything in between, this is a spot of paradise that anyone would dream of. A short way away is the town of Knysna, an area filled with adventure and small-town splendour. This forest covered region is home to some extraordinary sights and activities, including elephant walks and canopy zip-lining adventures. A place rich in cultural significance and history, it is home to some famed festivals, including the Knysna Oyster Festival. Buffalo Bay is also within easy reach of some other fantastic experiences, such as the gigantic Cango Caves and the Oudtshoon Ostrich Show Farm.